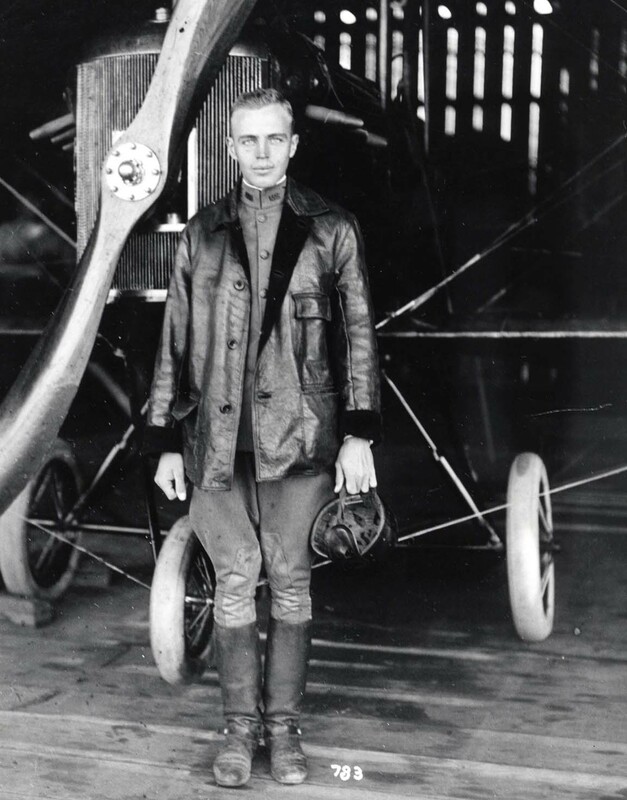 Major Harold M. Clark Jr. became Army Department Aviation Officer in November, 1917. A Herculean construction effort was initiated at the new Army air base. Before long, Ford Island had two double seaplane hangars with concrete ramps, two wooden land plane hangars, one small motor repair and machine shop, and a supply warehouse. In the center to the south end a narrow strip of land was cleared for land plane operation. By this time, the 6th’s strength increased to 10 officers. Six months after his arrival on May 9, 1918, Clark took off with Sergeant Robert P. Gay on the first interisland flight in the Hawaiian Islands. They flew from Fort Kamehameha to the island of Maui where a huge reception awaited the pair. From Maui, Clark made for the island of Hawaii flying at an altitude of 8,000 feet. Nearing Hawaii’s coastline, Clark encountered thick cloud formations and promptly lost his bearings. Darkness added to his worries, so the Army flyer decided to land quickly. His airplane crashed on the slope of Mauna Kea, the highest point in the Hawaiian chain. 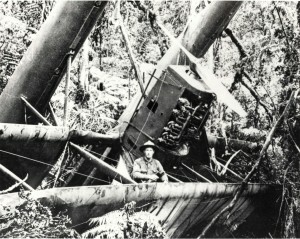 Upon impact the seaplane crumpled and gasoline spewed onto him from the broken tank. Clark became completely drenched in fuel. Unhurt, pilot and mechanic found themselves in a jungle-like brush with no civilization in sight. Hoping to draw attention to their location, the pair set a fire some distance away from the wreckage, using the Very flare pistol for ignition. No rescuers came, so they started to walk out. After two days and two nights, entirely without food, the Army flyers reached safety. The feat by Major Clark was covered in bold headlines in Honolulu newspapers, hailed as the beginning of advanced aviation in the islands despite the disastrous results. A short period later, three Army flyers followed the pioneer venture with an interisland flight which incited the interest of local businessmen. Flight of the R-6 Recount of the first interisland flight.